In the past decades, the amplitude of speech spectrum is considered to be the most important feature in different speech processing applications and phase of the speech signal has received less attention. Recently, several findings justify that phase is indeed very important in various speech and audio processing communities. The importance of phase estimation along with amplitude estimation in speech enhancement, complementary phase-based features in speech and speaker recognition and phase-aware acoustic modeling of environment are the most prominent reported works scattered in different communities of speech and audio processing. These examples suggest that incorporating the phase information can push further the limits of state-of-the-art phase-independent solutions employed for long in different aspects of audio and speech signal processing. 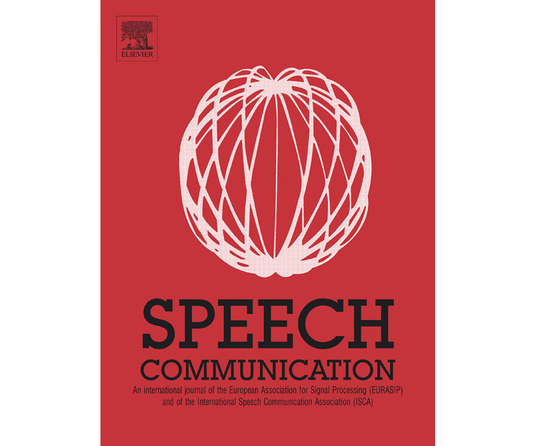 The purpose of this special issue is to highlight the recent advances and methodologies in phase-based signal processing in speech communication and to foster the development of novel phase-based solutions in different applications of speech processing. We believe that current advancements in phase-ware audio processing are of high importance for the researchers in speech communication, so key contributions from that area are welcome. This will allow a better understanding of the potential using phase information. - Pejman Mowlaee (pejman.mowlaee@tugraz.at), Graz University of Technology, Graz, Austria. - Rahim Saeidi (rahim.saeidi@aalto.fi), Aalto University, Finland. All manuscripts and any supplementary material should be submitted through Elsevier Editorial System (EES). Please select “SI: Phase-Aware Signal Proc.” when specifying the "Article Type" in the submission process. The EES website is located at: http://ees.elsevier.com/specom/.